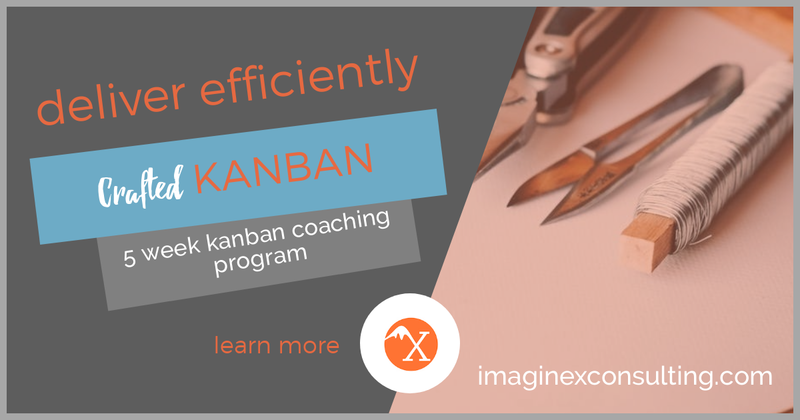 We are proud to announce our newest offering here at ImagineX Consulting: an immersive 5-week Kanban coaching program to launch your custom Kanban system with visibility, predictability and results. 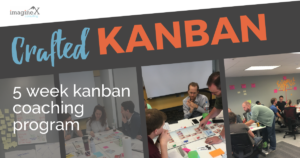 Training alone won’t drive the behavioral changes required to bring about monumental change…but we guarantee that our Crafted Kanban program will double your team’s efficiency in just FIVE weeks. Because how you work matters just as much as how much you deliver.